The Center for Diagnostic Imaging is the premier diagnostic facility in North Miami Beach, committed to providing the best in digital imaging and patient care. Through imaging, doctors can look inside the human body for finding clues about a medical condition or cause of an injury. With technological advancement, a number of machines and techniques such as x-rays, computed tomography CT scan Miami, and magnetic resonance imaging (MRI) are used to generate accurate pictures of the structures and activities inside the body. The type of diagnostic imaging asked by your doctor is wholly based on the symptoms of the ailment and the part to be examined. With the latest imaging tools, doctors can see every bones, organs, muscles, tendons, nerves, and cartilage to determine the reason for any abnormalities. The x-ray vision makes the doctor figure the problem instantly as well as identify any medical issue inside the body. 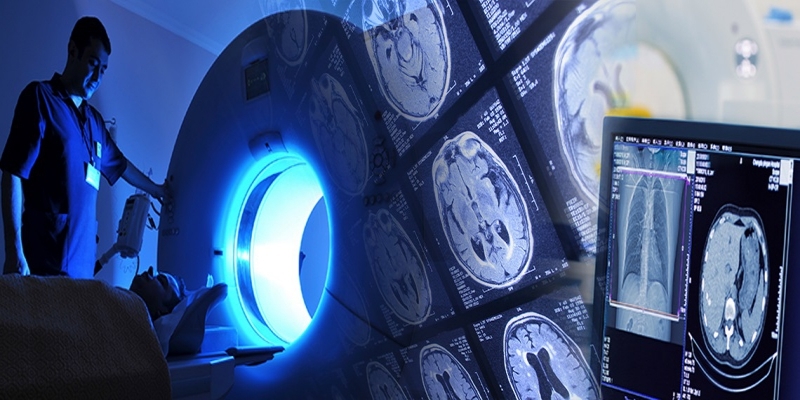 Over the past few decades, diagnostic imaging has evolved tremendously making the center for diagnostic imaging the perfect solution for detecting medical problems. It is the technique of making visual representations of various areas inside the human body to spot medical problems and monitor the treatment. Various diagnostic imaging techniques are used for evaluating bone and joint disease. The choice of the imaging technique depends on the sensitivity and specificity of a health problem so that the issue can be discovered and solved quickly. The diagnostic imaging procedure used by the clinician diagnoses the ailment in the shortest time at the minimum cost helping in lessening the risk to the patient. X-rays are the widely used diagnostic imaging technique and are always the first step if any defect is anticipated in the body owing to its relatively low cost in comparison to other imaging methods. X-ray Miami gives outstanding bony anatomy details and soft tissue calcification. It combines x-rays with computer technology to produce a comprehensive, cross-sectional image of the body. By a CT scan, the doctor can see the size, position, and shape of structures deep inside the body. Magnetic resonance imaging (MRI) is an alternative diagnostic imaging technique which is used to get cross-sectional images of your body. Contrasting CT scans, MRI are done without any radiation. It uses magnetic fields and a computer to take good resolution pictures of soft tissues and bones. Ultrasound is a painless, noninvasive imaging technique which takes high-frequency sound waves which echo off the human body. Ultrasound is taken without any radiation and used to locate blood clots, cysts behind the knee, rotator cuff tear in the shoulder and show other problems. It is always recommended to consult the radiologist prior to get the diagnostic test as the clinical information will help the radiologist and technologist to mold the examination according to your problem under investigation. How Can Advanced Diagnostic Imaging Help In Digital Mammography? Mammograms are now being served in digital format to enhance the accuracy and resolution of the procedure. Beyond creating better images for breast cancer screening and detection, digital mammograms provide a new tool for doctors with this form of the advanced center for diagnostic imaging. Diagnostic imaging centers can assimilate every examination into a comprehensive, holistic medical record matched to each individual patient. The information then becomes available to doctor’s worldwide, permitting patients greater flexibility in treatment options. Overall, diagnostic imaging centers are practicing advances in technology to offer doctors better tools to offer care and treatment to their patients. Diagnostic medical imaging Miami literally assists the physician to comprehend the complications in a human body and permits them to take better decisions. The Medical Imaging methods are completely painless, non-invasive and most of them don’t need any special preparation, except when contrast media is used. In some instances like breast cancer, medical imaging can be life-saving. They seriously turn patients into survivors. The usage of digital procedures for advanced diagnostic imaging is a welcome advance in every medical domain. The impact of false positives and negatives alike are to be averted at all costs. Digital exams help to build accurate records that mitigate the issues with false positives and negatives. Once the doctor recognizes what/where the issue is, he can take a better choice on further treatment. Post medical imaging, in most of the instances, invasive diagnostic center Miami methods such as exploratory surgery or angiography or cardiac catheterization may become pointless as the issue can be treated with normal medicines. This drastically decreases your treatment cost and also paves way for curing in a better way. Digital exam tracks form the basis of a patient’s medical record in the information age. Records are no longer folders stuffed with X-ray film sheets and mounds of paper that are only available by the staff of one facility. Gone are the days of requested transcripts be transformed to new doctors and waiting for days as medical staff meticulously copy every piece of detail for delivery. Digital information can now be retrieved and transmitted via the internet, yielding greater freedom to patients’ and their healthcare providers. In fact, results are often accessible, even to patients themselves, within twenty-four hours. Particularly breast cancer symptoms may appear in women but sometimes, unfortunately, the symptoms may not appear and you get to know cancer at the last stage. So in order to avoid this, regular breast cancer checkups are essential to avoid any serious problems. Various diagnostic techniques are used to identify breast cancer such as mammography, breast ultrasound or MRI. Doctors usually recommend mammograms for effective screening and diagnosis. A Diagnostic mammogram is an x-ray of the breast whereas screening mammograms are used to detect breast cancer in women who don’t get any symptoms for the same. A Diagnostic mammogram is used after the screening mammogram if something suspicious is detected during the exam. What’s there in a diagnostic mammogram? If your doctor has suggested you diagnostic mammogram, it will likely take more time than screening as more x-rays are being taken to detect the underlying problem. The doctor will take the images from multiple angles and points to ensure that no area is left hidden that need to be detected. The radiologist may zoom in the images from specific areas where there is doubt of an abnormality. This will let the doctor diagnose the problem more accurately and effectively. You can visit the center for diagnostic imaging to get the right diagnosis in case you feel any abnormality in your breasts. Along with identifying tumors in the breast, mammograms also detect ductal carcinoma in situ, which may become invasive cancer in some women. The reliability of a mammogram depends upon the size of the tumor and the knowledge and skill of the radiologist administering the mammogram. Women having age less than 50 years may not get diagnosed with cancer through mammograms. This is because women with less age have denser breast tissue that might appear white on mammogram just like tumor appears white on it. You must take your menstrual cycle into account when you are going to schedule your mammogram. After your period ends, the week after that is a suitable time to go for a mammogram. The doctors recommend that the women who don’t have any family history of breast cancer can go for their first mammogram after the age of 40. And in case if you do have any breast cancer history you must go for frequent mammograms or as directed by the physician. You can go to the diagnostic center for women Miami for the best diagnosis and treatment as they have skilled and experienced doctors and radiologists that provide accurate results and diagnosis. Facts about breast cancer-is it a matter of concern? One of the top concerns in women nowadays is breast cancer. Nationalized breast screening programs, center for diagnostic imaging, modern treatment methodologies, along with the research going on the disease, all these play an important part in the detection and prevention of breast cancer. If you have a family history of breast cancer that is if your sister, mother or daughter had a breast cancer, you might have the risk of developing cancer in your breast. Age factor also plays a crucial role in having this type of cancer, as you get older, the risk of developing cancer also increases. The women between 55 to 59 years of age have are at higher risk of having this cancer. While it primarily affects older women but it can also occur in women under the age of 30. If you earlier had cancer in one of your breasts, this might increase the risk of having cancer in the other part of the similar breast or in the other breast. Overweight and alcohol intake also increases the risk of cancer. You must go to the breast diagnostic center in case you feel lumps in your breasts as it could possibly be due to the breast cancer. In case if you have a family history of other cancers such as cancers of ovaries, uterus, colon or cervix, this can increase the risk of breast cancer. If you have undergone a hormone replacement therapy, you can have the risk of cancer due to the prolonged use of oestrogen and progesterone. If you have given birth to a child after 35 years of age or you have never given the birth to a child can also increase the risk of having cancer. How can you reduce the risk of having a breast cancer? • Limit the consumption of alcohol and avoid smoking: Alcohol and smoking can apparently increase the risk of breast cancer so doctors recommend avoiding these two to prevent you from cancer. • Try to maintain a proper weight: If you are overweight especially after menopause, you are at higher risk of developing cancer so try to control your weight and have a balanced diet. • Regular exercise can prevent you from breast cancer: 75 minutes of vigorous exercise weekly can help lower the risk of cancer. • It would be best to visit the women center Miami to get proper guidance and treatment regarding the cancer and its prevention. There are a lot of reasons you may need to undergo any of the medical imaging scanning procedure as directed by your physician. It is necessarily important for you to know about these medical imaging procedures and Center for diagnostic imaging before visiting them for a complete body scan. A lot of people are unaware of the aspects related to these medical imaging procedures, which is the reason they have to face certain glitches when they visit the radiologist for the tests. It is always a rewarding decision to know about the services and the procedures in advance so that you can be prepared both mentally and physically. Here we are sharing the details of some of the most common imaging tests that you can expect from the nearest diagnostic center Miami. Dive in here to know more about these services and tests. A medical resonance imaging scan commonly known as MRI is a scanning procedure that helps in taking the precise images of the body’s internal organs. These images are of high quality, which depicts the actual cause of the ailment. Most of the physicians recommend an MRI scan when they are unable to trace the real cause of the ailment with the initial tests and imaging procedure. This procedure isn’t painful and you need not worry about the overall duration and the method of this scan. You would hardly require sparing a couple of hours for the procedure to take place depending on the type of procedure that you have to undergo. Most of these procedures hardly take half an hour to one hour and you can be sure enough to get back to the work immediately after the test. A 3D mammogram test is an imaging scanning procedure that helps in analyzing the breast of women for any unusual growth. Your breast specialist would ask you to pick a suitable day for the imaging scanning procedure and you would be analyzed for any lump or extra growth in the breast. This procedure is for the ones that are facing some early symptoms of breast cancer and are doubtful for the same. You can consult your physician regarding the special precautions or any dietary alteration for any kinds of imaging scan procedures so that you need not to face any glitches.